Sharing our skills, our craft and our love for traditional making. Pocket Studio was established by professional silversmith Alison Jackson back in 2008. A few years later in 2012, Alison began teaching her program of short courses and workshops she designed to share her love of metalsmithing. 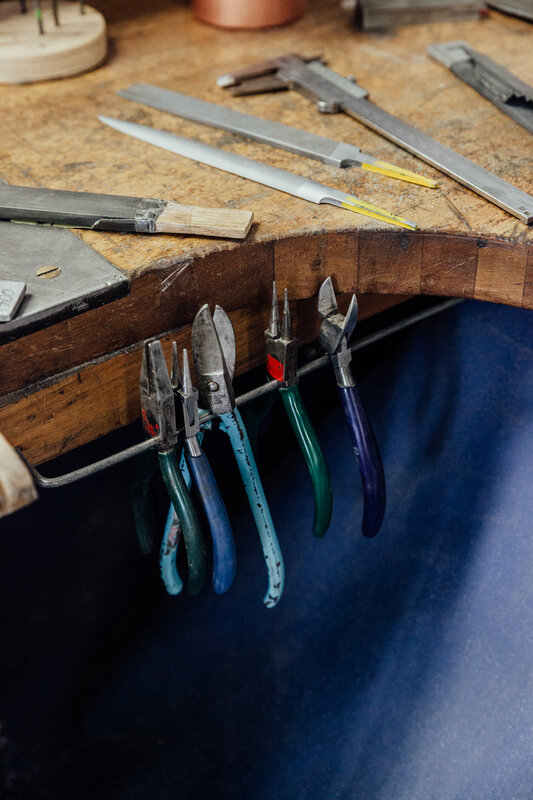 Located in Canberra, the studio has had students from far and wide come and learn new skills, share knowledge, renew old skills and fall in love with making. "It is a few days out from the workshop and I am still buzzing from Alison's enthusiasm for teaching and passion for design. It truly was a fabulous day. As an 'L' plate silversmith I so appreciated the instruction on techniques that Alison was able to pass on to the class participants. I was in heaven walking around her beautiful work space. I wore my completed necklace to work and received nothing but complements. If you can get on one of Alison's workshops DO IT!!!" "I had the most awesome time and came away with a feeling of great satisfaction from the loops and links workshop." "Alison’s copper bowl-raising workshop was an excellent experience. Everything was beautifully set up, Alison was very good at explaining the new techniques and guided us through the making process really well. The only downside was that it had to end - I would have happily stayed at her studio for longer and done another workshop! :)"
"Had a fantastic day doing Alison’s Spoon Making course. Alison shared lots of really helpful information and hints and her work space is just amazing! I have workshop envy!!!" "I really enjoyed this workshop. Alison is a great teacher and gives everyone the assistance they need. Definitely going to do more classes with her." Totally hooked on the pocket studio experience, I will be back for sure." "Great workshop with a skilled and knowledgable tutor. Excellent facilities with a relaxed and friendly atmosphere." "Alison is a wonderful teacher, very knowledgeable. It was a lovely relaxed atmosphere. I really enjoyed the workshop, learning different techniques as well as using different materials. I will definitely be coming back to another workshop!" "From the warm welcome to the wrap-up table chat the whole day was exciting. I got to be challenged in new methods of making and techniques. Was great fun." 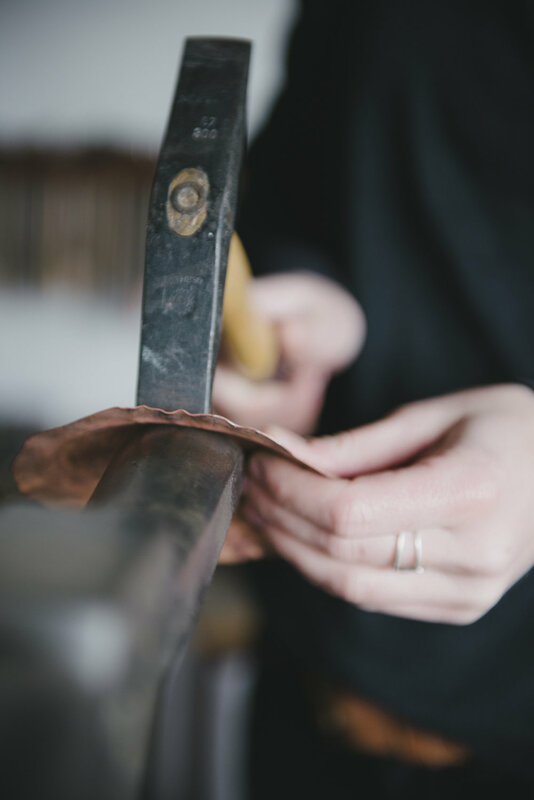 We are a small metalsmithing studio specialising in making things the old fashioned way.